So it looks like Cassie has been working, and not just being boo'd up with Diddy! Today she released a new mixape titled Rockabyebaby. 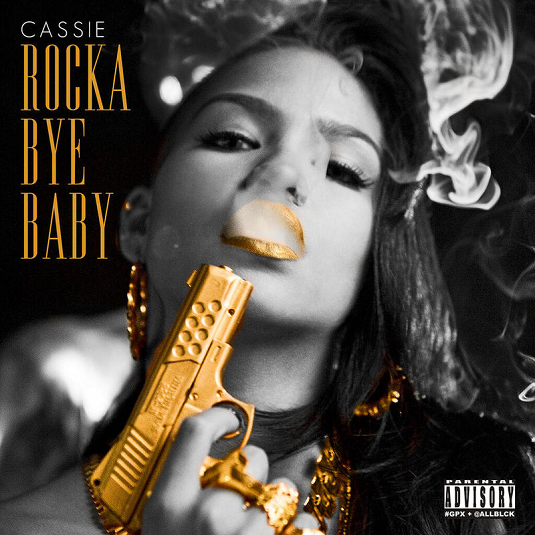 Cassie is serving gangsta glam on the cover with the gun and all, but is the mixtape BANGING? The project features appearances from Rick Ross, Wiz Khalifa, Fabolous, Jeremih, Pusha T, French Montana, Ester Dean and Too Short. Listen below and if you're feeling it click DOWNLOAD. 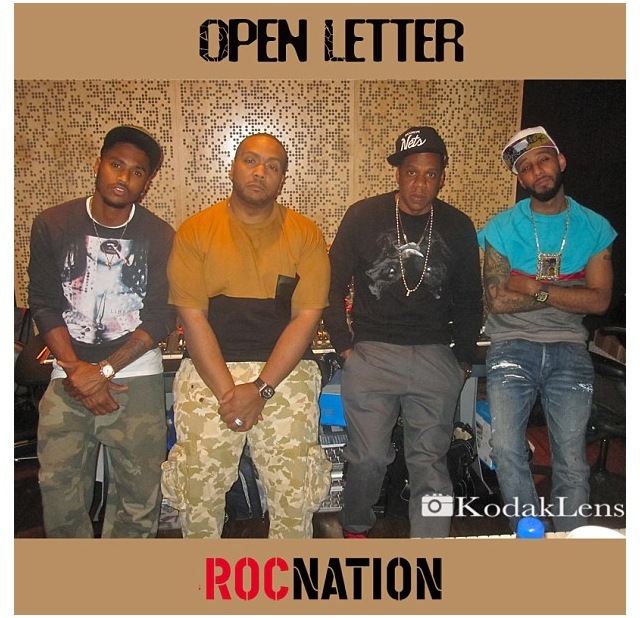 Jay-Z releases new music addressing the critics. When Hov and Bey decided to head to Cuba it sent the media into a frenzy, when clearly it's way more important issues to discuss like North Korea ready to drop bombs on our A**!! Check out the track produced by Swizz Beats and Timbaland. Jay gives us something just in time for summer!! Talk ya ish hov... Listen below!! Universal Music Group (UMG),the world's leading music company, and Roc Nation, the renowned entertainment company founded by Shawn "JAY Z" Carter, announced today that they have entered into a multi-year, worldwide partnership under which the Roc Nation music label will operate as a standalone label within the UMG family, effective immediately.Financial terms of the deal were not disclosed.As part of the agreement, forthcoming albums from JAY Z, Rihanna and many others will be released through UMG worldwide. In making the announcement, Lucian Grainge, Chairman and CEO ofUMG, said,"In just five years, Roc Nation has established itself as one of the most successful brands in music with a reputation for developing some of today¹s most influential and popular talent.Not only does this agreement provide a dynamic platform for Roc Nation's exciting emerging artists, it extends our relationship with the extraordinary Rihanna and represents a homecoming for JAY Z—a brilliant artist and entrepreneur, who has been a creative cornerstone of our company.All of us at UMG are thrilled that JAY and Roc Nation chose UMG as their partners, knowing we will support their artists with a level of resources, expertise and passion that is simply unmatched in the industry." Shawn "JAY Z" Carter said, "We are looking forward to working with Lucian and the incredible team he's assembled at Universal. We would like to applaud Lucian for collaborating with us to strike a new age deal. This agreement presents a unique opportunity for Roc Nation's artists—being able to continue to operate as an independent label with the strength, power and reach of the best major. I look forward to a long and prosperous collaboration with UMG. It feels good to be home." 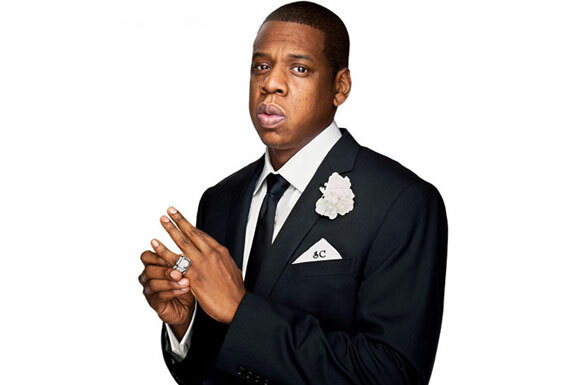 Congrats Jay-Z and Roc Nation!! 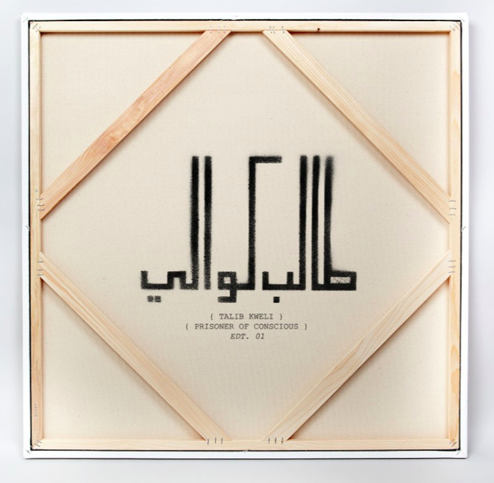 Talib Kweli and Miguel team up for his new song 'Come Here' which is a track for the ladies. The song will be featured off of his forthcoming album Prisoner Of Conscious dropping on April 23. 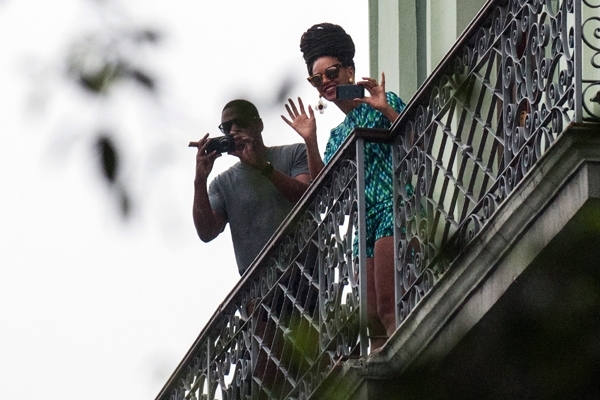 Jay-Z and Beyoncé marked their fifth wedding anniversary last week in Havana, where they ate fine food, enjoyed Cuban music, posed for pictures with fans and celebrated with large crowds. Now two Republican members of Congress are demanding to know whether the couple had obtained a license from the federal government to make the trip, which is required under a longstanding U.S. trade embargo against Cuba. According to Reuters, U.S. Representatives Ileana Ros-Lehtinen and Mario Diaz-Balart – both from Florida – sent a letter last Friday to Adam Szubin, director of the Office of Foreign Assets Control for the U.S. Treasury Department. Ros-Lehtinen and Diaz-Balart wanted more "information regarding the type of license that Beyoncé and Jay-Z received, for what purpose, and who approved such travel." Because of the trade embargo, most Americans must obtain a license from the U.S. government to travel to Cuba. President Barack Obama's administration, however, has loosened travel restrictions for academic, religious or cultural exchanges. "Despite the clear prohibition against tourism in Cuba, numerous press reports described the couple's trip as tourism, and the Castro regime touted it as such in its propaganda," wrote Ros-Lehtinen and Diaz-Balart in the letter. "We represent a community of many who have been deeply and personally harmed by the Castro regime's atrocities, including former political prisoners and the families of murdered innocents." The State Department has said that it had no prior knowledge of Jay-Z and Beyoncé's trip, and a spokeswoman for the U.S. Interests Section in Havana said she didn't know whether the couple had secured a proper license for their visit. Jay-Z and Beyoncé could face a fine if they failed to complete the proper paperwork. BABBBBBBBY!!! Nicki Minaj and Lil Wayne should just go a head and make it official, bcos.......Just watch the video!!! Brother/Boss my a**..tuh!! P.s Nicki Minaj is BAD!! Last week Halle Berry confirmed that she is expecting her second child with current boyfriend Olivier Martinez. So you know the razzi mafia will be on her even more now that a baby is on board!! The beautiful actress was spotted out and about in NYC and you can see the wittle bump peeping out. Awwww!! 46 and still making babies I hear that H.B!! Congrats! !